The north flank of Ceti Mensa. There is some possible soft-sediment deformation in this area. The region has attracted attention because its deep red color in images collected by the Viking Orbiter mission during the 1970s. 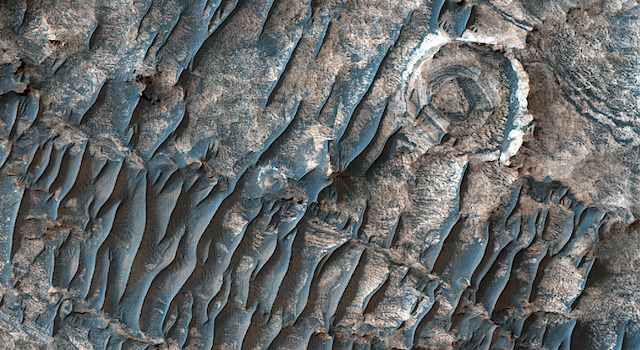 This entry was posted in Reports and tagged Beautiful Mars, Ceti Mensa, dunes, High Resolution Imaging Science Experiment, HiRISE, Mars Reconnaissance Orbiter, MRO, NASA, sand dunes, sedimentary deposits, University of Arizona. Bookmark the permalink.